2. A modal will be displayed showing a list of all your project members. Select a user. This will display all your contacts. Note that once a user has been added, you can no longer select it. 3. Select the user type of the member you wish to add on your project. This will define the user access. 5. Your added member will now be given access and will display on your list under the user type category. 6. 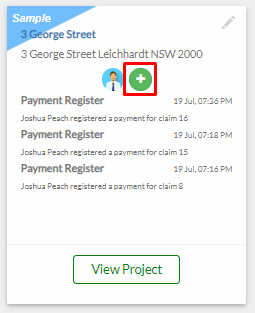 You can edit the user type of a project member by selecting one from the user type drop down menu. 7. If the user you want to add as a project member is still not on your contact list, click Add New Contact. 8. You have two options on how you can add the user. First is through adding his details and email address and the second one is through a link invitation. To learn more about adding contacts to your portal, click here.